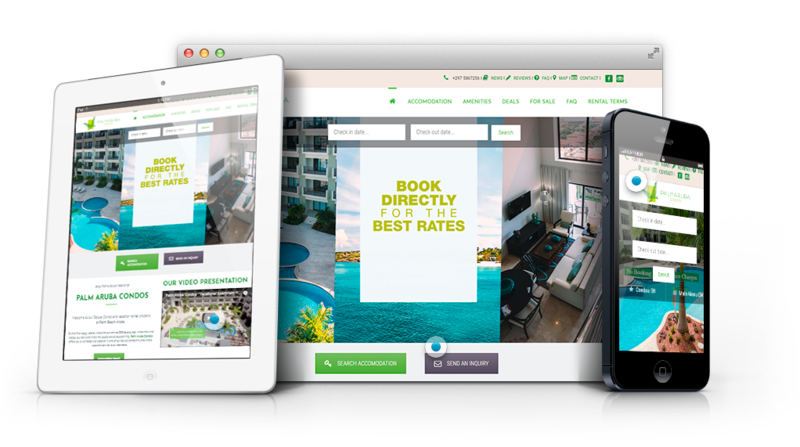 For this luxury condominium complex with units available for sale and as vacation rentals, we created a high-impact visually-oriented site geared towards making sure both existing and new customers could quickly access the information they need and easily book their accommodations online. In addition to the creation of the website, this client enjoys a wide range of our services, including graphic design, social media marketing, blogging, sales and marketing consultation, marketing plan and execution, Google Adwords, SMA, newsletter subscription with auto-replay and confirmation, integration with property hotel management system, photography and video production, and more. Filter layout page to view different condo types. Floor plan integration with tooltip icon. Fully responsive design for multiple devices. User-friendly, easy navigation, clean design.